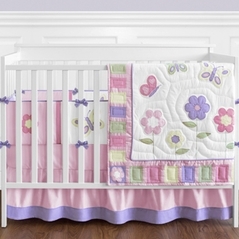 Welcome to our wonderful collection of Pink and Black Baby Bedding! Here you will find all the finest in Pink and Black crib Bedding all with the added benefit of Beyond Bedding's Satisfaction Guarantee! 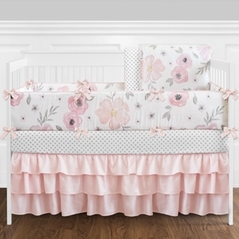 If you want something with a little more color than just a pink baby girl bedding set then take a look at our selection of brand name pink and black baby bedding options. The color combination of pink and black is both fashionable and chic. 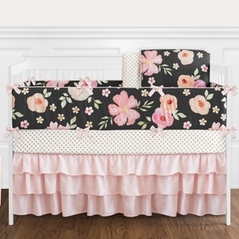 Pink and Black crib bedding is a magnificent duo with perfectly coordinating colors. Take a look at our popular Modern Baby Bedding Sets where you will find a couple of our Pink and Black baby bedding options as well as many other great contemporary designs. 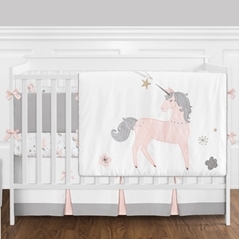 And after you're done viewing the baby crib sets on this page please take the time to check out our Shabby Chic Baby Bedding section for more themes and ideas for transforming your nursery room into a child's dream-come-true.